Cat fountains have started to become more and more popular among cat owners. The appeal of having water that you know is clear and healthy for your cat is very natural, but there are some people that do not want the constant flowing or streaming of water in their home. Thus far, there have not been many attempts from companies to produce something that gets rid of the flowing water on display. Heyrex however have produced a water bowl that is able to provide the clean and healthy water for your cats, while at the same time preserving the look of a bowl. 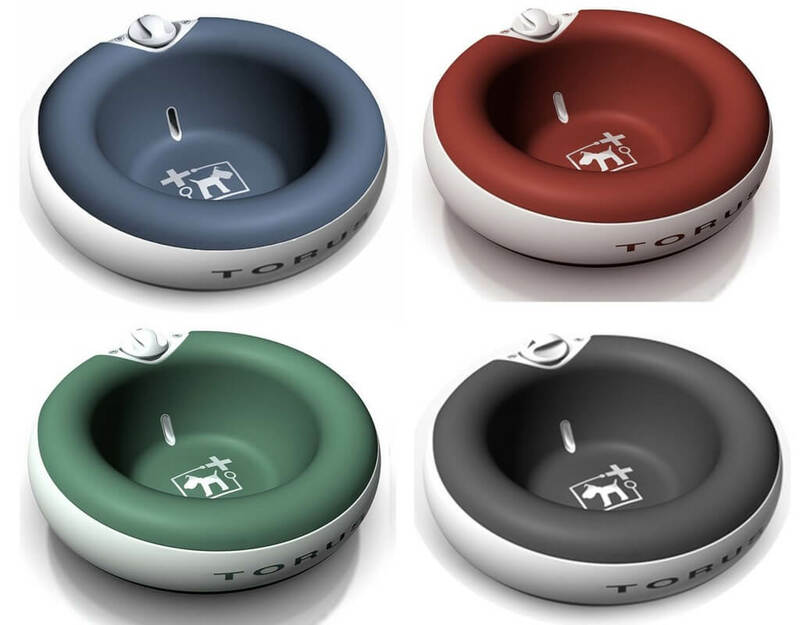 Here we will take a look at their Torus Ultimate Pet Water Bowl, including the pros and cons of having it in your home. We will also aim to answer any questions you may have about its suitability for your home. No Risk Of Splashing: One of the problems many people have expressed with owning a cat fountain is the risk that water can end up splashing around. There is no risk of this happening with the Heyrex Torus Pet Water Powl, which houses its water inside the structure of the bowl. The clear and filtered water that is available for your cat to drink in the bowl is kept at a relatively low level, so then there is very little risk of the water spilling over the sides. This means that you can have filtered water without the worry of causing a mess. Holds A Lot Of Water: When you have a bowl of water for your cat, you always want something that is able to hold a lot of water so then you don’t have to refill it on a regular basis. 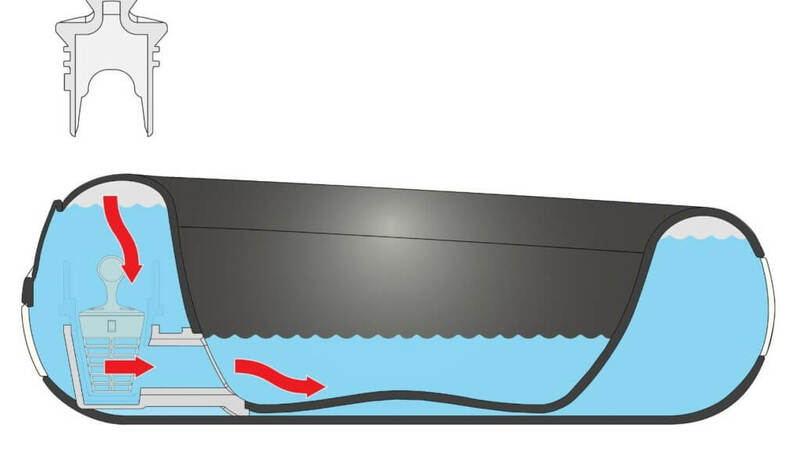 This water bowl is able to house a gallon in its structure, which naturally greatly reduces how often it needs to be refilled. Not only that, but because the water is constantly being filtered by the internal cooler and filter, you don’t need to change the water to make sure that it is fresh. All you have to do is refill it when it is empty. Stylish Design: One of the main problems with having a cat fountain is that it tends to look like a water feature than a water bowl. While this might be appealing from some people, there are others that would rather have something that looks like a bowl. 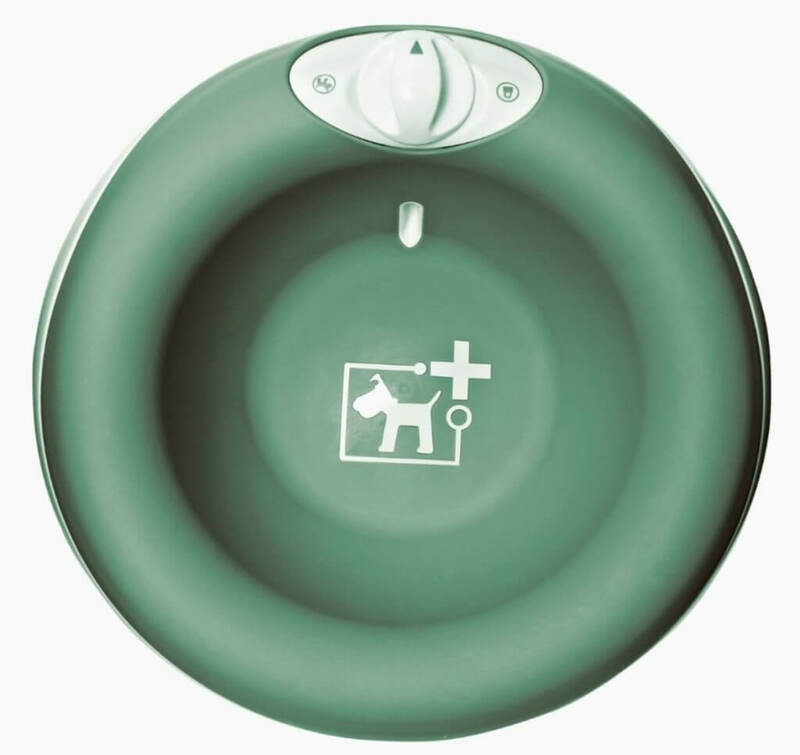 This Torus Ultimate Pet Water Bowl from Heyrex looks like a proper water bowl and its available in several appealing colours. The colours available are blue, charcoal, green, and red. Needs Cleaning Often: If you have several cats or even one cat that drinks water often, then you may find that their fur can get stuck on the sides of the bowl rather quickly. This is mainly because of the material that the bowl is made with. It is also something that is more noticeable depending on the colour of your water bowl. If you are okay with cleaning it once or maybe even twice a week, then this will not be a problem. If however you wanted something that requires less maintenance, then you should take a look at the different colours on offer so then you know which ones are the least likely to get dirty quickly. 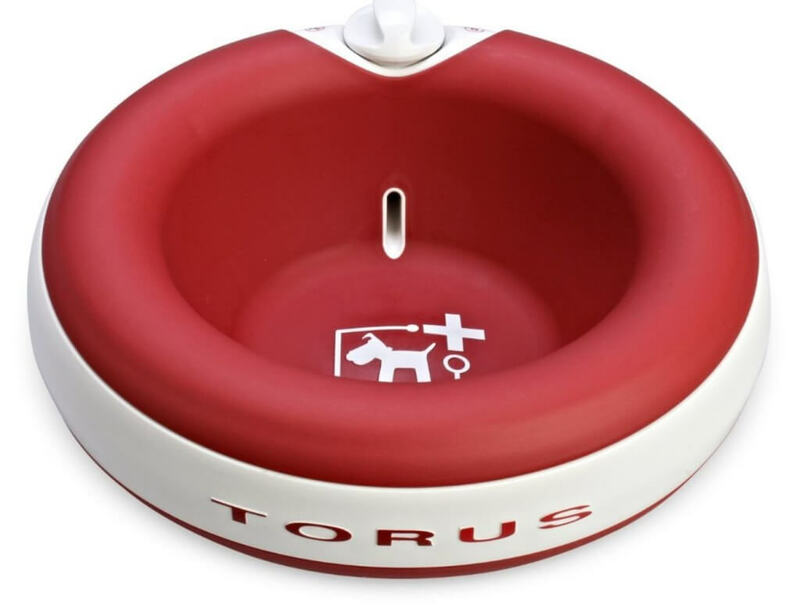 Can Be Tipped Over: While the Torus Ultimate Pet Water Bowl from Heyrex is able to hold up to a gallon of water at once, when the water levels get low it can become very light. In fact in some situations, your cat may be able to tip the bowl over, particularly if it is a larger adult cat. In order to avoid this happening, you will need to make sure that the bowl stays relatively full for the majority of the time. Refilling the bowl once a day should help you avoid any situations where the bowl might tip over. In fact, if you have kittens then this will probably not be an issue at all. Too Large For Smaller Cats: If you have smaller adult cats or kittens, then you may find that they have difficulty getting used to this water bowl. Because if its sheer size, it means that smaller cats may have difficulty getting their heads over the edge in order to have a drink. Naturally this is something that will become harder for them as the water level goes down. If however you have adult cats that have grown a little, then they should be able to handle the size of the bowl without any problems. 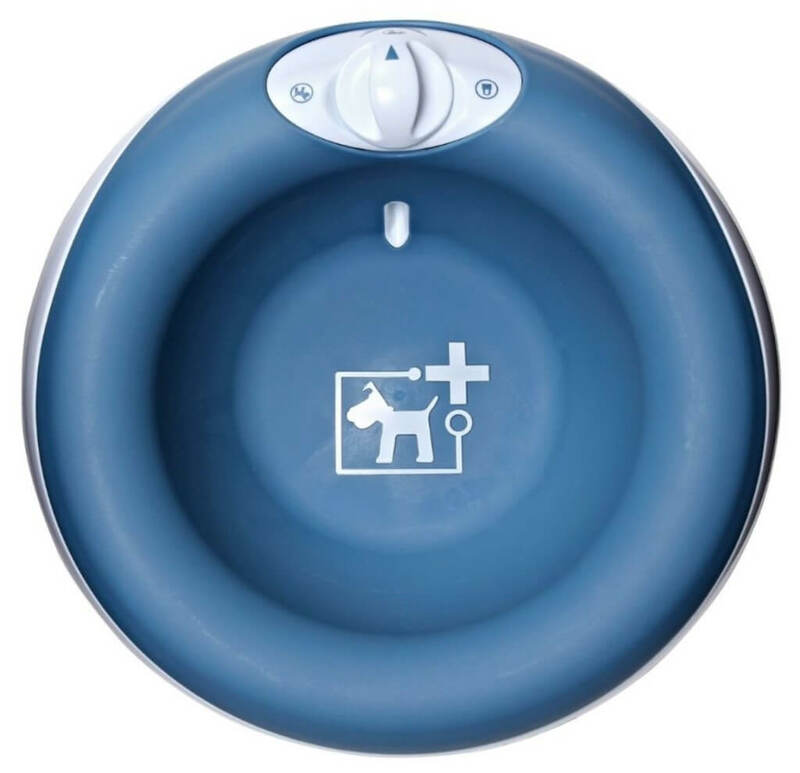 This water bowl actually does not need any form of power from electricity or batteries, which means you are free to put it anywhere in the house. The water bowl is made of a strong plastic around the outside and in the main structure. It also has a rubber inner lining which gives it a little more strength so then it can handle the full gallon of water. Unfortunately this bowl is not able to prevent anything from falling into the water. It is however very easy to clean, particularly if you are able to clean it on a weekly basis. There doesn’t seem to be any reason why you would have to have a filter inside, but this is something you should check with Heyrex. The filter is part of the locking system, so it’s best to check with them if no filter would lead to a leak. This water bowl comes with just one filter. If you want more then you have to order them seperate. There are not many water bowls available on the market right now that looks as good and filters the water quite like this bowl from Heyrex. 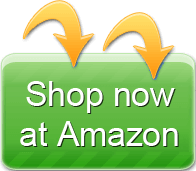 If you are looking for something reliable that can give your cats healthy water over a long period of time, then this should be regarded as a definite purchase.